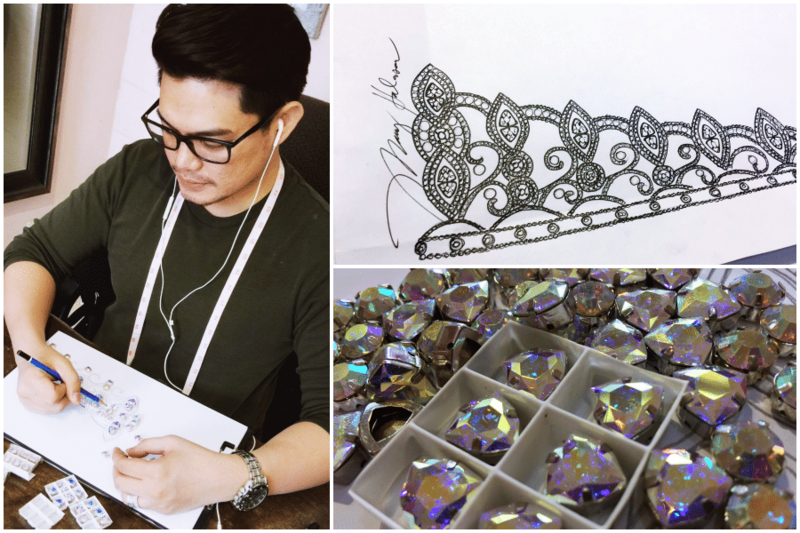 A queen’s must-have accessory is her crown, and for this year, the pageant sought the expertise of one of the top crown and jewelry designers in the country–Manny Halasan. Manny is a professional fashion designer who comes from the family who established Halasan Metal Craft in Meycauayan, Bulacan. He is the grandson of Norma Halasan, who is considered an institution in the world of fashion jewelry and crown design. She passed on her passion and trained Manny in crafting crowns and jewelries for pageants, shows, and charity projects. He was part of Project Runaway Philippines Season 3 in 2012 and has since been making waves in fashion and design. His most recent works were seen at the The Fashion Gala: Fashion for a Cause and the Likha Fashion Show: Benefit Fashion Show for Children with Cancer. This year’s crown is made of brass metal, coated with silver and adorned with a luxe mix of rhinestones and Swarovski crystals. The intricate design perfectly embodies the organization’s cause on beauty in diversity as seen through the hard frame, harmoniously blending with the soft curves of its lines. The crown, like its predecessors, is an elegant figure of strong presence, glamour, and beauty that shines from within. Stay tuned for the grand unveiling of the crown!